Luckily, the volunteers are Minnesotans and used to this brutal weather. MINNEAPOLIS — Kids are off from school today, but first responders will always be on the job. The American Red Cross is no stranger to responding to fires. But it turns out that this month, they're busier than usual. 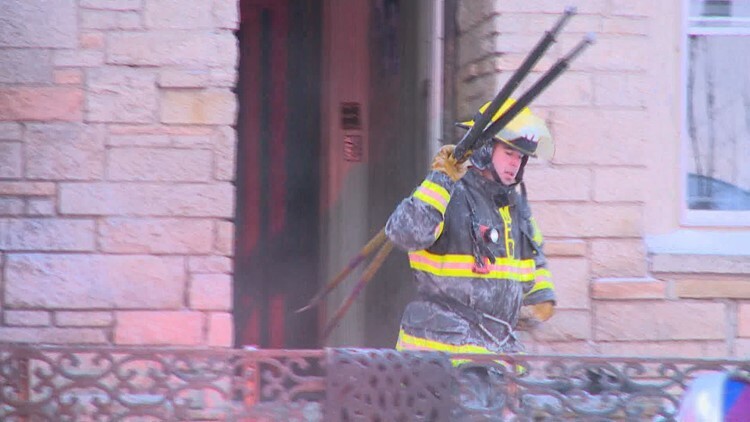 The Red Cross said volunteers have been going from one fire to another, even in this cold weather. The volunteers are working longer hours than they're used to. Just Thursday morning, they were on the scene of fire number 41 in two weeks in the state. They're used to about 40 per month. So, why are there so many more fires than usual? It's because of the extreme cold. People are using different kinds of heating methods for their homes, such as electric heaters, space heaters and alternative fuel sources. Things like these can attribute to house fires. The Red Cross said the extra workload has proved to be challenging. "With the polar vortex and the multiple snow events getting our volunteers out to the scene to meet with those clients has been difficult," Direct Services Manager for MN Region of American Red Cross Jonathan Gelletta said. "But our volunteers are from Minnesota – they're experienced with this kind of weather." The Red Cross volunteers are making sure that people who are displaced from fires have a place to stay the very same night. Another big priority is getting medications replaced. The volunteers don't stop there. The next day, they follow up with displaced families to make sure they are okay. You can help by going to www.redcross.org or click here to make a financial donation to things like the Client Assistance Card, which works like a debit card for families in need. You can also call 612-871-7676 or visit the website if you are considering becoming an American Red Cross volunteer.